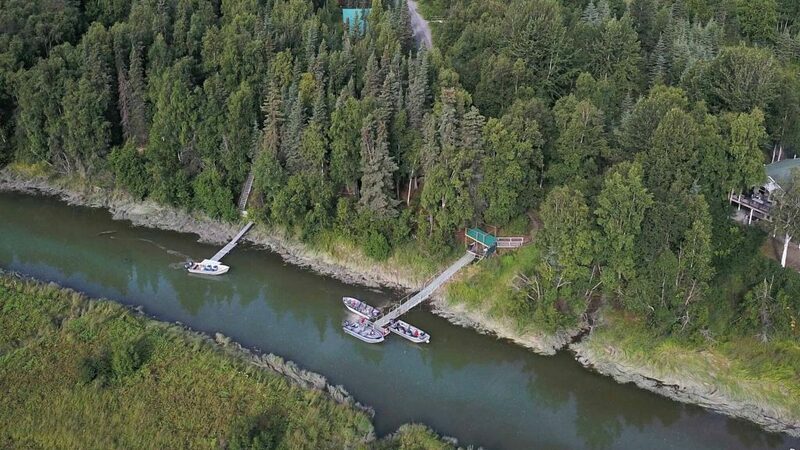 Foster’s Alaska Cabins is equipped with boats on its private dock, ready to show guests a good time on the water. 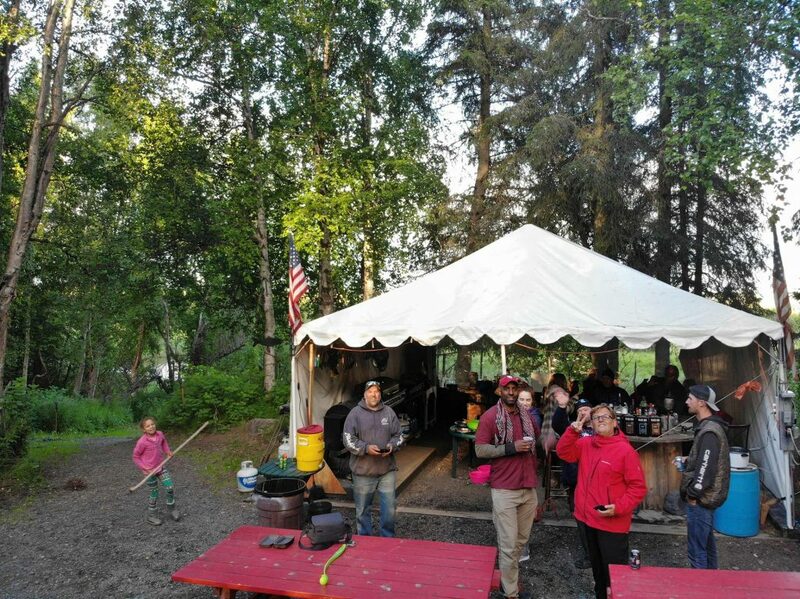 The Tent is the Foster’s Alaska Cabins common space; everyone congregates under the tent to share tales from the water and trail. Guests commonly exchange contact information and keep in touch for future adventures. The Tent features an outdoor kitchen complete with a Traeger smoker, a large barbecue grille and 36-inch flattop griddle. 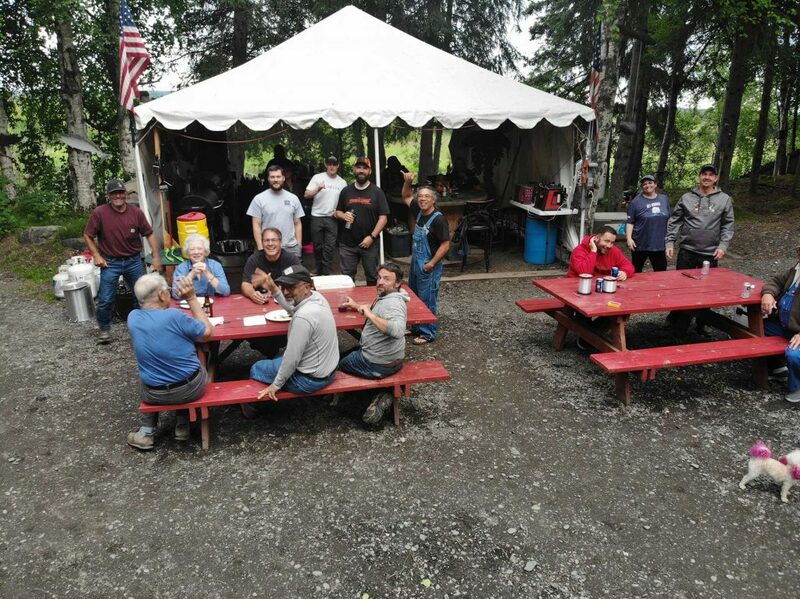 The Tent is fully-enclosed with a clear back wall, so guests get incredible views of the mountains and creek while they enjoy dinner, live music and good company. Guests of Foster’s can head to The Tent and find beer, wine, bottled water and soda at any hour – the coolers are always stocked. Foster’s all-inclusive vacation means guests don’t need to worry about cooking a single meal, though they are welcome to. 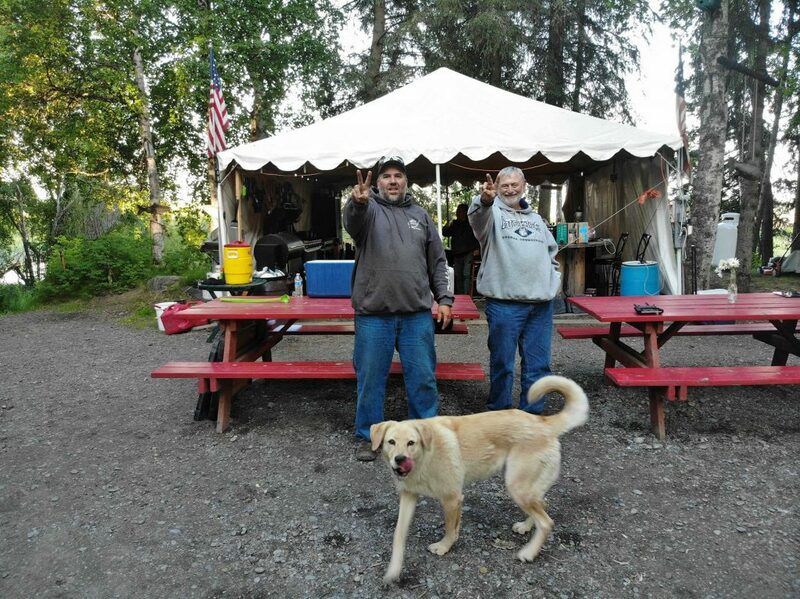 Foster’s Alaska Cabins serves gourmet meals that you can’t find just anywhere. 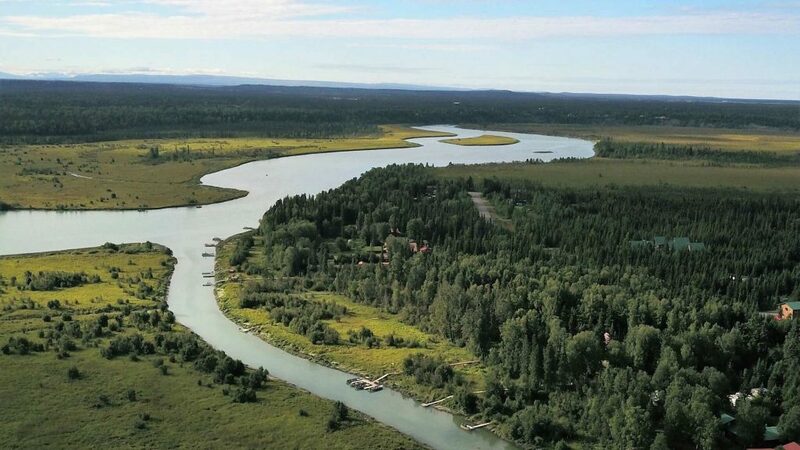 All dishes are made with the freshest ingredients local to Alaska. What’s for dinner? Foster’s regularly serves prime rib, steak, moose and the highly anticipated once-weekly seafood feast including king crab, plenty of fresh fish, bacon-wrapped scallops, prawns and more.